It’s been more than a year since I bought a copy of the special edition of Fire Emblem Fates and I’ve only managed to beat Birthright, one of the three Fates games in the cartridge. I’m currently in the middle of my Conquest playthrough and have yet to play Revelations, and yet I’m still eagerly anticipating another Fire Emblem game that’s scheduled for release on the Nintendo 3DS next month. Why am I still so excited about another Fire Emblem game? Let me talk about it right now. Fire Emblem Echoes: Shadows of Valentia is a full remake of Fire Emblem Gaiden, the second Fire Emblem game ever released but never localized for Western audiences. That this game is a remake is a very good reason for my interest in this title. Looking back on Nintendo’s history of game development, the sequels of their titles have usually been quite experimental – Zelda II: The Adventures of Link, the western version of Super Mario Bros. 2, Yoshi’s Island (the sequel to Super Mario World), and so on. And Fire Emblem Gaiden was quite an experiment indeed, having a feature that won’t be seen again in subsequent Fire Emblem games: explorable overworlds, towns, and dungeons. Box art for the North American release of Fire Emblem Echoes: Shadows of Valentia. Being a full remake, Fire Emblem Echoes retains Gaiden’s unconventional mechanics and storylines, all dressed up in a coat of modern graphics. That includes the exploration parts which I’m quite interested in – I don’t know how it’s going to fit a Fire Emblem game, especially since in this remake, the exploration will be from a third person behind-the-back perspective. I think the addition of exploration can serve to break the sometimes monotonous nature of Fire Emblem games. 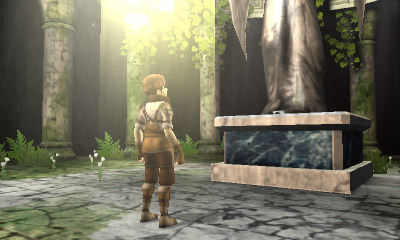 Fire Emblem Echoes features mechanics that are more commonly found in adventure games. Aside from exploration, I’ve heard that Fire Emblem Echoes will have some major differences from recent Fire Emblem games. This new game no longer has the signature weapon triangle system that Fire Emblem is known for (heck, even Fire Emblem Heroes on mobile had the weapon triangle). The weapon triangle was important in that it served to differentiate the weapons in Fire Emblem games: swords beat axes, axes beat lances, and lances beat spears. 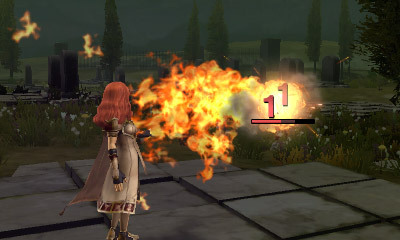 In previous Fire Emblem games, characters who could wield more than one type of weapon gave strategic advantages for players, as they can be equipped to deal with different kinds of opponents. Instead, Fire Emblem Echoes has a new Special Weapons system wherein each character only has a single weapon slot. They start with default weapons but you can replace them with various Special Weapons that you can find in the game. Each character only has one inventory slot as well, so you’ll be forced to choose whether to give characters healing items or stat-boosting equipment like shields or armor. Magic remains a powerful weapon in Fire Emblem Echoes, but should now be used sparingly. Fire Emblem Echoes also added some gameplay mechanics that will seem to make this game more challenging. Whenever a character casts magic spells in Echoes, they would lose health, which makes magic a less appealing way to battle. While powerful, casting magic will leave your magic users even more vulnerable than ever before. Finally, Fire Emblem Echoes will include a fatigue mechanic that will definitely change how the game is played. Each character will have a fatigue meter that will increase every time that character takes an action. Once a character has too much fatigue, that character will have stat penalties that will make him/her less effective in combat. Gone are the days wherein we could rely on one really strong character like Chrom (Awakening) or Ryoma (Fates Birthright) to see us to victory each and every battle. Fire Emblem’s turn-based strategy battles were already hard enough; these new/returning mechanics are definitely going to change things up. 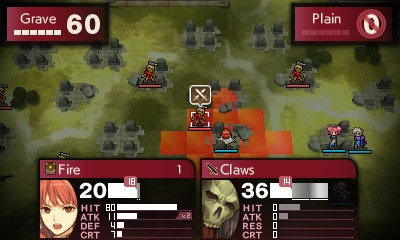 Despite changing some of Fire Emblem’s signature mechanics, the core gameplay will remain centered on turn-based strategic battling. Aside from the gameplay, Fire Emblem Echoes has a storyline that is quite intriguing. 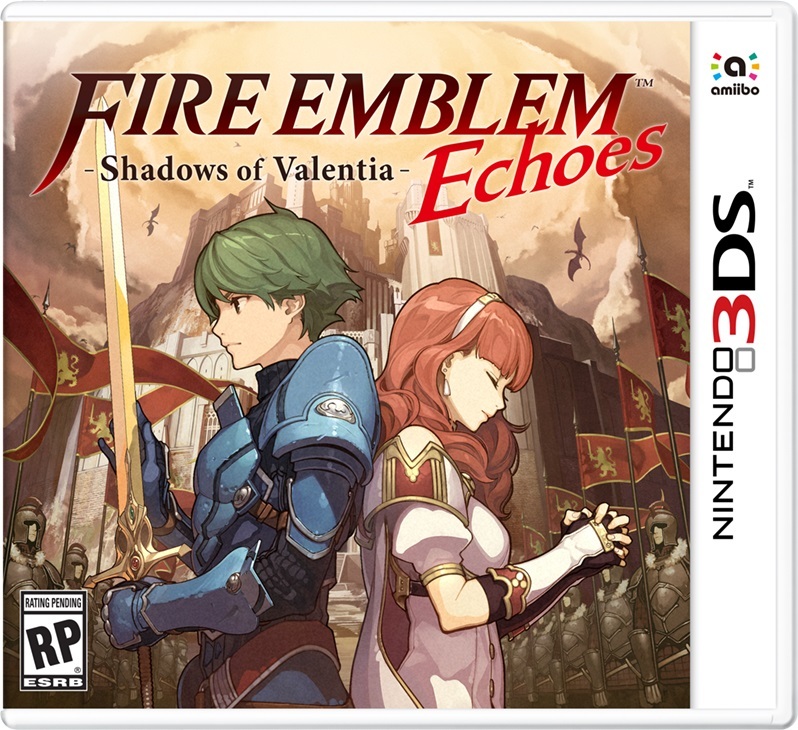 Echoes has two main protagonists (which is a draw already in itself – I love it whenever there are multiple main protagonists in games), namely Alm and Celica, longtime friends but are separated as they find themselves on different sides of a conflict between two warring nations. Echoes will switch you back and forth between the viewpoints of both characters as they follow different paths in resolving this conflict. I didn’t read much about the story beyond this as I did not want to get spoiled. One big tidbit though: 8-4, the game localization company which handled the localization of Fire Emblem: Awakening, will also be in charge of the localization for this game. And Fire Emblem: Awakening was awesome – it has a critic score of 92 and a user score of 9.1 over at Metacritic, so don’t take my word for it. Fire Emblem Echoes will have amiibo functionality and will be compatible with different amiibo – not just the Fire Emblem ones. Finally, Fire Emblem Echoes has amiibo functionality. I always keep an eye out for any games that are compatible with amiibo because I want to maximize the money that I spent on these plastic figurines. I’m glad to report that not only is Fire Emblem Echoes compatible with the Super Smash Bros./Fire Emblem amiibo that I expected it to be compatible with, but the game will also work with other non-Fire Emblem amiibo! The advantages aren’t too great; old Fire Emblem amiibo will allow you to summon ghost versions of those characters to help you out in combat while non-Fire Emblem amiibo will let you summon random monsters instead. 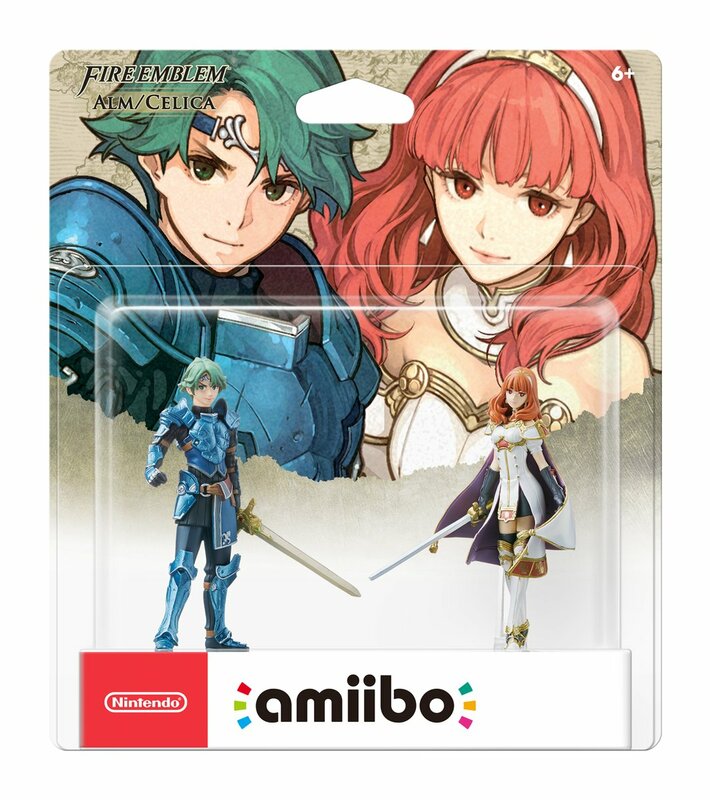 So you don’t have to buy the special Alm and/or Celica amiibo figurines that will also be released together with the game next month – but if you do, you’ll gain access to a special dungeon or to special ghost summons of the two characters. You’d think that, after spending more than five hundred hours total on Fire Emblem: Awakening and Fire Emblem Fates, I’d be burned out from all things Fire Emblem. But the franchise has been really good recently and Fire Emblem Echoes looks to offer a different enough experience for me to consider getting a copy. The Japanese version already came out yesterday; it is scheduled for release in the North America and Europe regions on May 19, 2017. I’ve heard and seen a lot of good stuff about this game – that’s why it’s in my sights and if you own a 3DS, you should be considering this game too!